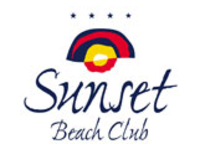 Sunset Beach Club is a four star holiday resort hotel located beachfront in the popular holiday destination of Benalmadena on the Costa del Sol, in the South of Spain. Accommodation consists mostly of one bedroom Hotel Apartments, all with their own terrace and kitchen, which are ideal for couples, family holidays, golfers and groups. Quite famous to the Irish market, the Sunset Beach Club in Benalmadena is a great choice for your golf break and one that is sure to meet your expectations. A very popular choice of golfbreaks.ie customers the Beach Club enjoys a spectacular location and is in close proximity to many great golf courses such as the La Cala courses. The resort also offers unrivalled 4* hotel services and facilities, including a range of bars and resturants, games room, fitness centre (fee applies), onsite supermarket, bakery and much, much more! During the Winter months there is still plenty going on and the great value Winter room rates give you the perfect excuse to escape to the Costa del Sol for some rest and relaxation and hopefully some Winter sunshine too! For group holidays, the hotel has a designated Groups Coordinator to assist with organizing all aspects of your event, from weddings and family get-togethers, to bowls holidays and bridge conferences, girlie getaways, golf holidays and dance groups.. Whatever, the time of year, the staff at Sunset Beach Club pull out all the stops to make sure your stay is a memorable one. Sunset Beach Club hotel offers four star accommodation on the seafront of Benalmadena Costa, with a variety of apartment types to suit all your holiday needs. Deluxe Junior Suites (Available from 14th February 2014) – guaranteed sea views! 1 Bedroom Apartments (5 pax) – guaranteed sea views! Studios – guaranteed sea views! Honeymoon Suites – guaranteed sea views! Sorry, no animals or pets are allowed. All apartments are non-smoking.